The malware, which is nicknamed KeyRaider, enables attackers to download applications from Apple's App Store without paying or to lock devices in lieu of a ransom. “We believe this to be the largest known Apple account theft caused by malware,” wrote Claud Xiao of Palo Alto Networks in a blog post. Palo Alto Networks notified Apple of KeyRaider on Aug. 26 and provided the stolen account information, Xiao wrote. Apple officials in Sydney couldn't be immediately reached on Monday. KeyRaider can only infect those who have "jailbroken" their Apple device. Jailbreaking removes Apple's protections that limit what apps can be installed on a device. Apple advises against jailbreaking for security reasons. Palo Alto Networks investigated KeyRaider with an amateur technical group in China called WeipTech. 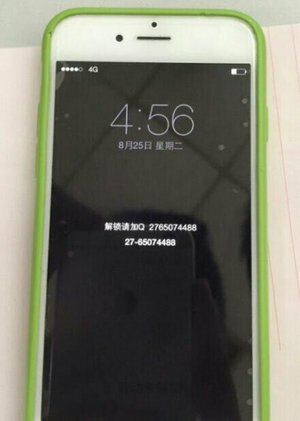 A member of that group, who is a student at Yangzhou University, discovered the attack, Xiou wrote. KeyRaider has been spread by being incorporated into jailbreak tweaks, or software packages that allow for some new function to be run on iOS. The malware has been found within tweaks published on the Weiphone forum for jailbroken phones. It is suspected that a user, who goes by the username "mischa07" on Weiphone, may be responsible for seeding KeyRaider to his personal repository of apps. The same user name was hardcoded into KeyRaider as the encryption and decryption key for the malware, Xiao wrote. An analysis of mischa07's repository shows the user has uploaded many tweaks to Weiphone, including ones that allow users to cheat on games, tune their systems and strip advertisements from apps. KeyRaider taps into system processes within Cydia, which is the application used for downloading apps for jailbroken phones. It steals Apple account usernames, passwords and a device's GUID by intercepting iTunes traffic, which it can then use to fraudulently download apps. The malware also collects certificates, private keys and purchase receipts. In another style of attack, KeyRaider was used for at least one ransomware attempt. The malware can "locally disable any kind of unlocking operations, whether the correct passcode or password has been entered," Xiao wrote. One person reported their phone was locked and showed a message to contact someone over the QQ instant messaging service. A new kind of iOS malware, KeyRaider, can also lock up phones and demand a ransom. The stolen account information was found by WeipTech on a command-and-control server that communicates with KeyRaider-infected phones. That server had security vulnerabilities which allowed the group to obtain the stolen data. But KeyRaider's authors figured out something was going on. WeipTech only recovered about half of the stolen accounts "before the attacker fixed the vulnerability," Xiao wrote. WeipTech was set up as a service for people to see if their account was among those compromised, he wrote.